For your business to run smoothly, your workspaces need to encourage productivity. Excess products, samples, papers, and other supplies piled up in any usable office space require constant attention if organization is to be maintained. The extra time it takes to keep non-essential items on site pulls either the business owner or a valuable employee away from other necessary tasks. Rather than diminish your productivity, consider a business storage unit in the Highlands area. Placing items into the appropriate self-storage unit will keep belongings protected from environmental factors while freeing up much needed office space. While in storage, properly packed items are not only protected but also more easily accessible. Packing paperwork into boxes that are close to identical in size makes them easier to stack. Turning furniture on its side maximizes space. If you’re not efficient in the way that you approach your storage solutions, items may be tossed into a storage unit and forgotten. Lack of record keeping of stored items can cost more in the end. Therefore, it is beneficial to keep a list of items in storage, and update this list continually. Listing items for inventory should begin before ever committing to a space. Beginning with a list, you can better determine the size of unit needed. Your storage manager can also help you choose the most suitable space for your needs. The list of stored inventory can be kept in a computer database. This is especially helpful if multiple people have access to stored items. As items are added or removed from storage, actions can be noted on the inventory list. 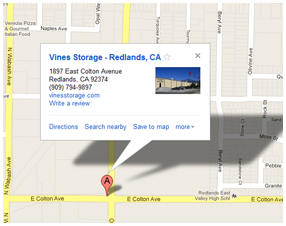 Vines Storage has been serving the needs of area residents and business owners for years. Our climate controlled storage units are ideal for records and other items. Contact us today for assistance with your business storage needs.